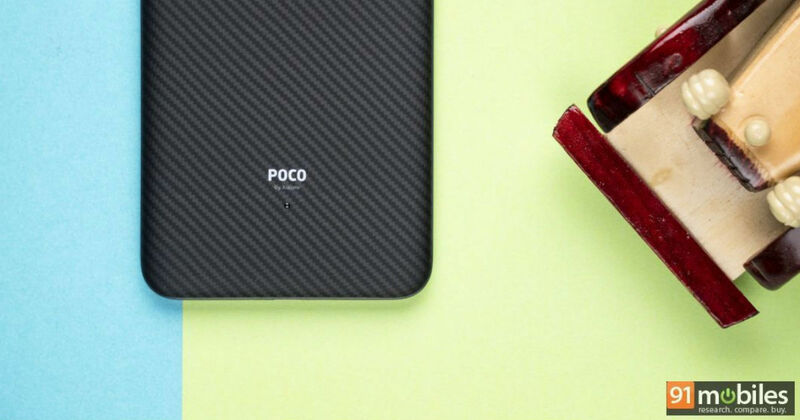 POCO India’s general manager, C Manmohan, took to Twitter to make the first official announcement pertaining to the next model in the series, which may be called POCO F2. While it was pretty certain that the upcoming POCO smartphone will be launched soon, this is the first time that a company official has confirmed this. Unfortunately, however, Manmohan’s open-ended tweet means there are no further information beyond the fact that the POCO F2 is, indeed, on its way to India. It is not even clear if POCO will retain the same nomenclature as the POCO F1 (review) for the upcoming smartphone. However, it is unlikely that a company will branch away from the established naming pattern after just the first device, especially when the first product has been such a hit. Details regarding the POCO F2 are scarce and everyone involved in the process has kept a tight lip. Given the brand’s USP, the POCO F2 is expected to house top of the line hardware, including a flagship processor, and according to the handful of reports on the internet, may come with up to 12GB of RAM. Other speculated POCO F2 features include a 6.3-inch, full HD+ display with 19.5:9 aspect ratio and a waterdrop notch, a single 16-megapixel front camera, and three cameras on the back. Xiaomi just launched the Mi Play, its first handset with a waterdrop notch and may implement it across many of its phones in 2019. There have also been a lot of feedback pertaining to software glitches, and POCO users have complained about multiple such issues on Twitter and the POCO India Forum. Xiaomi’s subsidiary brand will hope to iron these issues out as well with the upcoming smartphone. While there are no timelines that have been shared for the phone’s launch, a line in the assured buyback programme of the POCO F1 listing on Flipkart reveals that the POCO F2 will be launched around six to eight months after the first smartphone — hence suggesting a possible launch around February 2019. That said, it is important to note that apart from the confirmation of a new POCO smartphone being launched, the rest of the information is merely speculative, and we expect to see more details surface in the coming days.